The Multisports ENC-600NL Commercial Training Exercise Bike is built for commercial, professional gym, or high end home gym use. Heat treated components, sealed self-lubricating bearings, and high density foam upholstery provide smooth motion, long lasting comfort and durability. 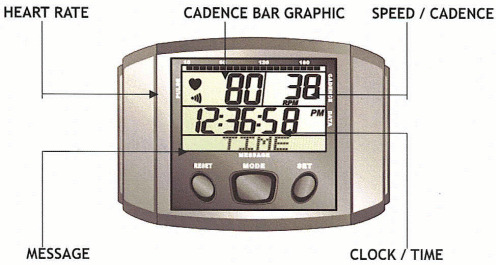 The exercise bike is a staple of a well rounded cardiovascular workout, and the Multisports ENC-660NL Commercial Training Exercise Bike offers the kind of durability and adjustability that satisfy the needs of the most demanding fitness enthusiasts. Welcome to the ultimate cycling experience with the sophisticated features designed of the MultiSports ENC-600NL Indoor Spin Bike. The MultiSports ENC-600NL Indoor Spin Bike delivers comfort, convenience and performance in every workout. Featuring our heavy duty duty steel frame, it's not only easy to move, but resistant to rust and maintenance friendly. Through extensive research and testing, these innovative and sophisticated indoor cycling bikes will forever change the way we train. Don't wait to get on the road to a stronger and healthier body Call 1-800-875-9145 today with any questions you may have about the MultiSports ENC-600NL Indoor Spin Bike. Order your MultiSports ENC-600NL Indoor Spin Bike from FitnessZone.com today! Frame: Commercial, Heavy Gauge Steel Frame 2" x 4"
Pedals: Self-Leveling Cro-Moly Pedals with Toe Straps. 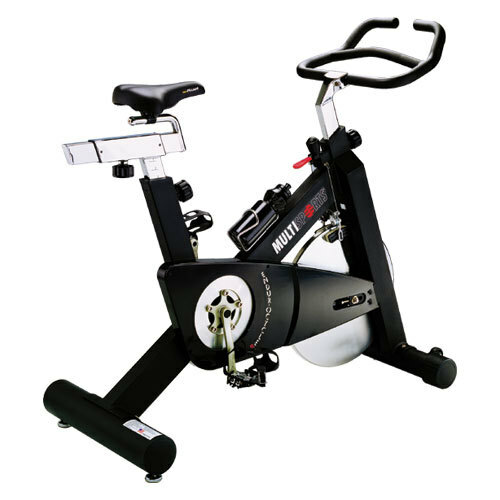 Order your MultiSports ENC-600NL Indoor Spin Bike from FitnessZone.com today!